So, for months now — MONTHS — Facebook keeps showing me the same sponsored post in my news feed. 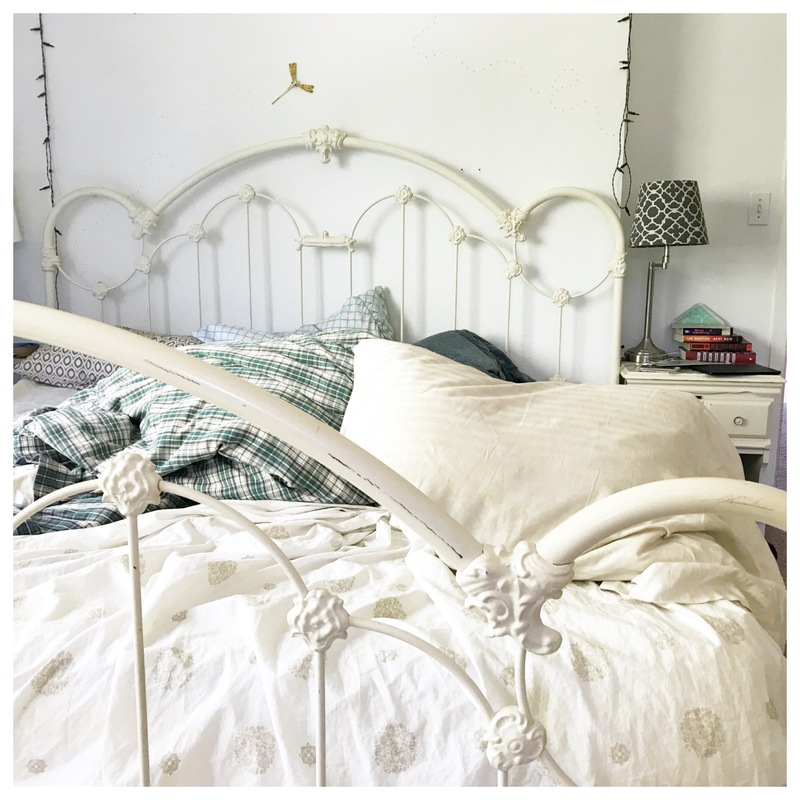 It’s by Myquillin Smith of The Nesting Place, a stunning home and garden blogger, and it’s titled 5 Things People With Tidy Homes Don’t Do. Now, I want to be CRYSTAL CLEAR that I have no problem with my fellow humans who keep tidy homes. I LOVE PEOPLE WHO KEEP TIDY HOMES for many reasons, the main one of which is I get to live vicariously through them. Thank goodness, because God knows I don’t keep a tidy home myself. I mean, it’s gotten better as my kids have grown older — less “filth and squalor” these days and more just “mayhem, muck, and madness,” you know? — but tidy is definitely not a word applicable to our situation. I adore looking at magazine photos. I feel inspired by whitewashed rooms with splashes of color. And I keep unrealistic hope alive that Someday This May Be Me. For example, I bought a white enamel clawfoot tub in fine condition the other day for no other reason than it was $50. I COULD NOT HELP IT. It’s a tub WITH CLAW FEET, friends, so the money leapt from my hand of its own accord. Do I have a place to put said tub, you ask? YES. OF COURSE I DO. WHO BUYS SOMETHING WITHOUT A PLACE TO PUT IT? It’s in my garage as I type. … Oh, you meant do I have a useful place to put said tub? Like, a sort of bathing-related space with extras like plumbing and soap. Well, no; no, I do not. Which is IRRELEVANT, as I told Greg while he was lifting the twelve ton beast from our rusty truck, because NOW I OWN A CLAWFOOT TUB. HOORAY! People with tidy homes don’t have one child. People with tidy homes don’t have two children. People with tidy homes don’t have three children. People with tidy homes don’t have four children. And people with tidy homes definitely don’t have five children. And we shall politely ignore the fact that my 5 Things are lies, because there are plenty of people with children who have tidy homes. We shall ignore that because these 5 Things are clearly in the Necessary Lies category; the lies we must tell ourselves to remain functional; lies like bacon is not a carcinogen, and maybe the baby will sleep all night. SURVIVAL LIES is what these are. Capiche? Now, I’ve put together a few photos that showcase Myquillian’s house and then mine from a similar angle in the home, just for visual aid purposes. I like Myquillin’s home. Truth be told, I love it. And I’m seriously contemplating buying her book, but I couldn’t help but notice she’s not as prepared as me for this Christmas by proactively leaving wreaths hung in the kitchen. And she seems to have a pronounced lack of broken end tables taking up all the usable sitting space. I mean, to each her own, but in case “tidy” and “beautiful” and “a relaxing oasis inside your home” isn’t want you’re going for, feel free to take some inspiration from me and drape your couch in wrinkled bedsheets, crushed plastic drink containers, and game controllers. P.S. No criticisms of Myquillin Smith or The Nesting Place, please. Her motto is It Doesn’t Have to Be Perfect to Be Beautiful, so she’s our people. P.P.S. We might be getting more foster kittens before the current ones are adopted because MORE KITTENS IS ALWAYS BETTER THAN LESS KITTENS, and also because our local shelter can’t take any more right now. My child, who has been listening far too much to his father and is therefore too practical for an 11yo and not nearly enough OMG MUST HAVE ALL THE KITTENS, asked where these kittens are supposed go. “The laundry room,” I said. “They can’t,” he replied, “or they’ll get all the clean laundry dirty.” That’s when I told him Something That Blew His Mind: some people do a chore called Putting Away Clean Laundry. As in, when they’re in need of clothes, they don’t dig through the pile on the laundry room floor. They look in places like closets and dressers, an activity most of my children have literally never done. I feel in retrospect like I didn’t need to share the entire post above. This little snippet explains in a nutshell our exact tidiness level. P.P.P.S. I didn’t tell him about folding clothes. I felt like his brain had enough new concepts for one day. Ever since we have children there’s no doubt the house never got back to its old tidy self. I don’t think people with children , that work full time, can keep up and keep tidy. No way! Growing up in a poor country that’s what we had in our garden: old and rusted tub to collect rain water for watering the plants. As I kid I loved to use it as a dipping pool and to experiment with frogs and their swimming skills. While 25 years ago this was a sad reality of a poor country, novadays it’s very chic and rustic decor, so go for it! This is fantastic. Also, I completely relate. My dream home and my actual home are never going to hang out in the same bars until approximately six of my six kids graduate and move away. *sigh* thank goodness for Houzz and pretty magazines. OMG, you have Blown MY Mind!! I thought we werein theGalapagos only people in the universe with a Christmas wreath at the front door, reminding people (now that it is almost August) that Christmas is Coming. Babies and toddlers who sleep through the night wake up to wet crib sheets because there isn’t a diaper in the world that can hold half a gallon of digested, pre-bedtime milk. Because heaven forbid I wash one sheet every single day. I think I need about 100 more so I can keep with tradition and only wash sheets when I’m bored or someone puked. I like the phrase “Toddler-Trashed Chic.” That describes my house exactly. Those are good goals. I have to repeat them to myself all day…my kids are fed, clean, hydrated, loved, safe…and let go of the rest. You’re my hero, I have three kids and think you’re awesome to have five! Waving! Not sure why my comment was left as a reply to Ashley instead of on the post, but RIGHT and AMEN to Ashley too! We change sheets daily around here… But hey, the upside of sleeping on the couch with the baby on my chest all night is that when a toddler(S) crawl into MY bed and pee it in the middle of the night, I am out of the crossfire. Heh heh heh…sorry hubby. Like Myquillin Smith points out as a goal to strive for, I am in a constant state of low-grade tidying, with a big fast sweep every morning in which I return things which have mysteriously migrated from their proper places, do a little fast reorganizing, and work on my goal of THROWING SOMETHING OUT every day. Every day, I look at one thing I have been saving forever because you just never know, and decide that now I KNOW, and toss it. I am determined to downsize the possessions in this house. But I don’t have five kids. I used to have four live-in kids, and lived in despair, but frankly, once they and their clutter moved out, my anxiety eased up considerably and I welcome their visits, even if on those visits they bring their dirty laundry. Dirty laundry in my laundry room I can cope with. Teenage and young person detritus was wearing on my mental health. My home has traveled through the many stages of OP house keeping over the years! That’s Other Priorities Housekeeping if your wondering! I have had the luck to travers Mt Washmore and surf wrecklessly through D D swamp in all it’s slimy and sometime smelly glory. I’ve luckily experienced the true traction one can get on so many WTF is that trails through ALL my homes rooms! My 4 companions that I was SO VERY lucky to travel through all those glorious messy, mucky, and yes often smelly days are all grown and off designing their own homes now. The house is now clean, decorated, and smelling nice but having lived both I can without a moments doubt say one is NOT better than the other! But your home is the one I’d rather lounge around in. 🙂 Love you always. Thanks for sharing your life with us.